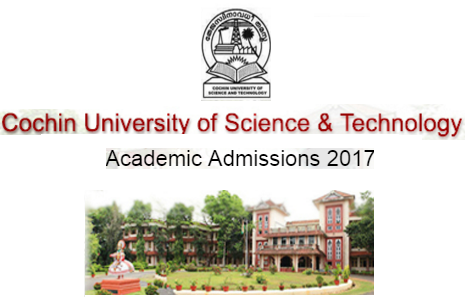 www.cusat.nic.in and www.cusat.ac.in are the official website of Cochin University of Science and Technology (CUSAT) Common Admission Test (CAT) 2017 Online Registration, Examinations, Results, Admissions etc. How to Apply Online for CUSAT CAT 2017? For making Payment click on Online payment and make payment using Debit Card / Credit Card / Net Banking. 2 days after making the payment online. check the application status and take a printout of application conformation if approved. If not approved kindly contact CUSAT. No need to send anything through Post. unless stated. Admit Card can be downloaded from the Website on Specified Date.